This was a very twisty and turny time travel story. Our main character manages to redeem himself in the end, after some interesting (if hard to follow) adventures. And while the ending itself is a bit too perfect, the narrator’s self-awareness balances that nicely. 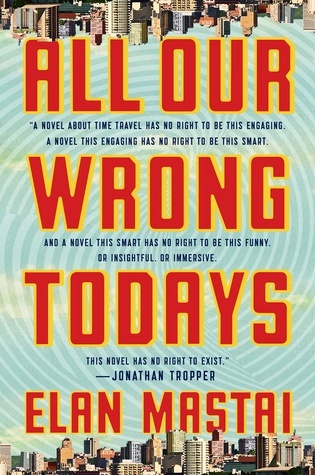 Sign into Goodreads to see if any of your friends have read All Our Wrong Todays.